12 months in one and two vintages old barrels. Allier and Tronçais. Then 12 months in foudre. appealing. Best from 2020 through 2027"
"The 2016 Gigondas Vieilles Vignes is a bit tighter and firmer than the Vacqueyras at this point, more age-worthy perhaps but not necessarily more pleasurable. A blend of 85% Grenache, 10% Syrah and 5% Mourvèdre, it offers hints of garrigue layered over black cherries, ending on a bright, crisp note." "Great depth and freshness here. Spicy oak adds modern appeal to rich, dark fruit and plush, sweeping tannins. Long and polished. Terrific wine. Drink or hold." silky on the palate, offering intense red fruit preserve flavors that deepen and spread out steadily with air. Shows candied licorice and allspice flourishes on an impressively long, sappy finish framed by smooth, slow-building tannins." "Mid crimson. Too concentrated to have much aroma at present although one can tell how ripe the grapes were. Massively Grenachoid with a spread of spices and herbs across the palate. There is southern Rhône history here. Real soul. You want to speed up its evolution to see what it will eventually deliver … Very impressive if embryonic." 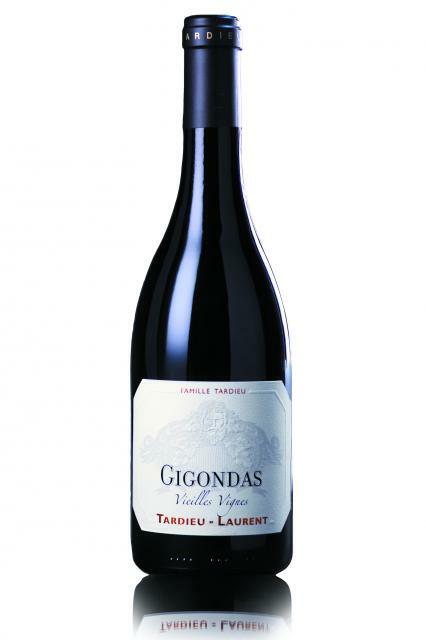 "The 2016 Gigondas Vieilles Vignes is another ripe, concentrated, modern styled effort that has loads to love. Black raspberries, garrigue and violets notes all emerge from this solid effort that has full-bodied power, moderate acidity, ripe tannin and a great finish." "Les fruits noirs, le thym et la garrigue amènent une belle fraîcheur aromatique. La trame de tanin est en relief - bien que lesdits tanins soient plus civilisés que dans le vacqueyras par exemple -, mais le potentiel est là. L'allonge de bouche est délicate."